Greek Mountains, the mythical Mount Olympus & Mount Pelion. The twelve Olympian Gods still choose the natural beauty of the Greek mountains as a hideout, awaiting to reclaim their former glory. Experience breath-taking views from mountain peaks. The incomparable beauty of verdant forests and impressive natural habitats, as well as the mythological proportions. In the mountains of the Gods and Centaurs. Greece Mountains – An amazing journey for 7 Days. 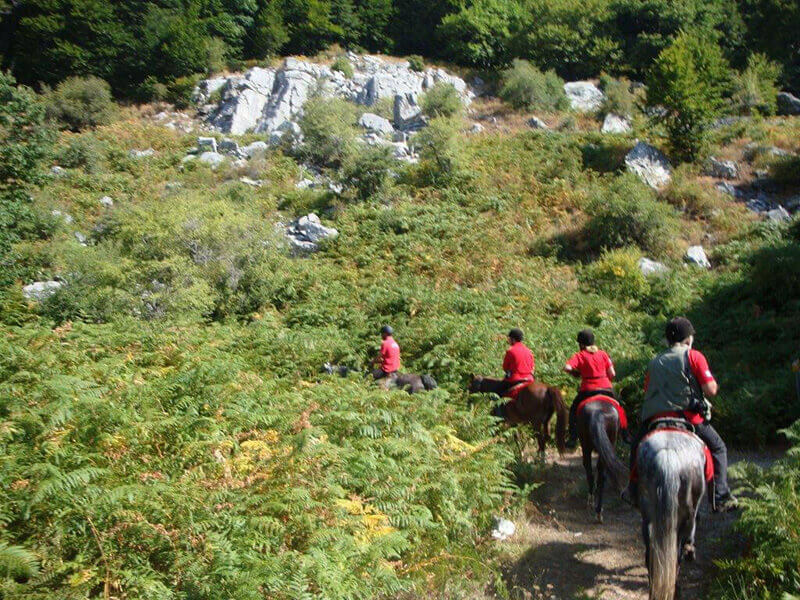 You will experience the mountain trails of Olympus, the mountain of the Olympian Gods; and Pelion, the mountain of the Centaurs. 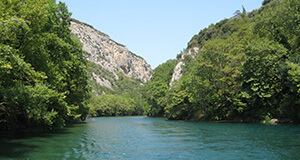 Visit the Valley of the Muses, the forests of Zeus and the spring of the Centaurs. Mount Olympus, the highest mountain in Greece offers trails of scarce beauty. A National Park since1938 to preserve the unique natural environment and a UNESCO Biosphere Reserve. 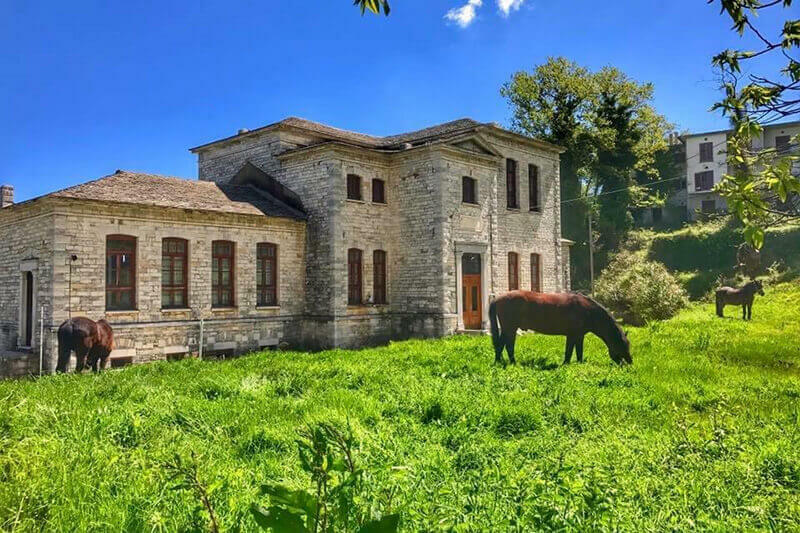 Mount Pelion, the densely forested summer residence of the Olympians and the place heroes visited to be tutored by the wisest of Centaurs, has trails roving through the forests and connecting the quaint villages; daily trips from Portaria will take you to the most scenic locations. 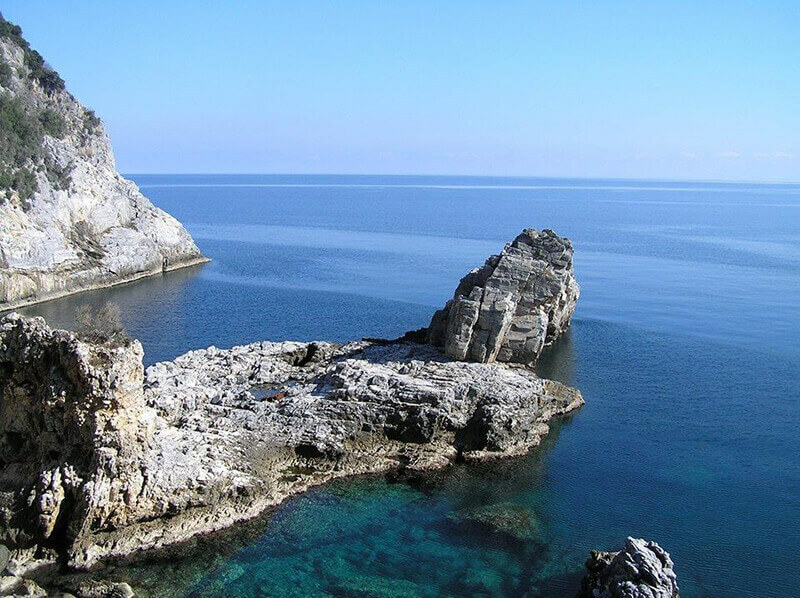 Leaving from the coastal village of Aghios Ioannis a boat ride can take you to the Poseidon Caves. Either by hiking, biking, or driving you will get an unforgettable taste of the wondrous sites Ancient Greeks devoted to their highest of Gods, to their finest of teachers. 6 nights accommodation in 3* 4* 5* hotels (based on double occupancy). Transportation to/from the airport, to/from destinations (for self-served tours car rental D type included). 6 breakfasts & 10 meals. Admission fees to all archaeological & cultural sites (optional for a self-served trip). English-speaking certified guide (upon request). 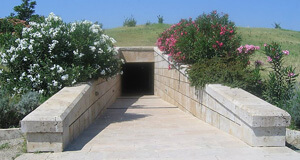 ** Your journey can start either in Athens or Thessaloniki. The proposed itinerary described below assumes Athens as a point of departure. It can be customized depending on your arrival & departure schedules, and per your preferences regarding the details of your journey. Contact us and let us design your perfect trip together. Depending on departure time you can take a rest at the Valey of Tempe, a gorge in the valley of the river Pineios. Arrival at Litohoro; located at the feet of the Olympians’ mountain and preferred starting point to hike, bike or just explore the mountain. It is also a place that offers all kinds of accommodation as well as plenty of culinary options. Wake up with the awe-inspiring mountain towering over you. First stop towards Olympus’ peaks is Prionia, a well-serviced shelter (1,100 m). 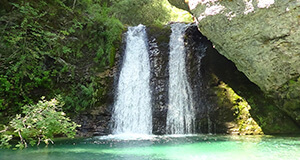 The waterfalls of Enipeas River are close by with banks of lush vegetation. 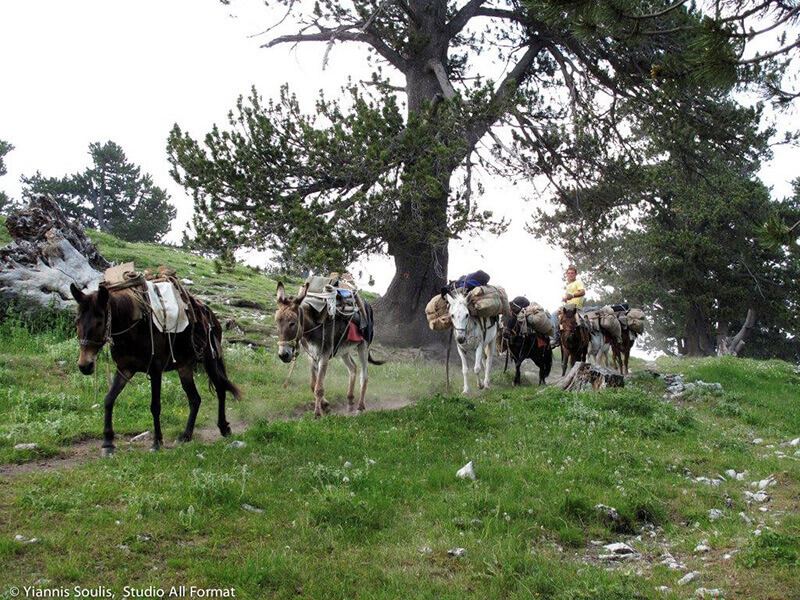 Hike with your guide to Spilios Agapitos Refuge, a traditional alpine-style lodge (2,100 m). Greek mountains, End the day with a traditional meal from locally grown ingredients and taste the local spirits. A short drive takes us to Dion, dedicated to the worship of Zeus. 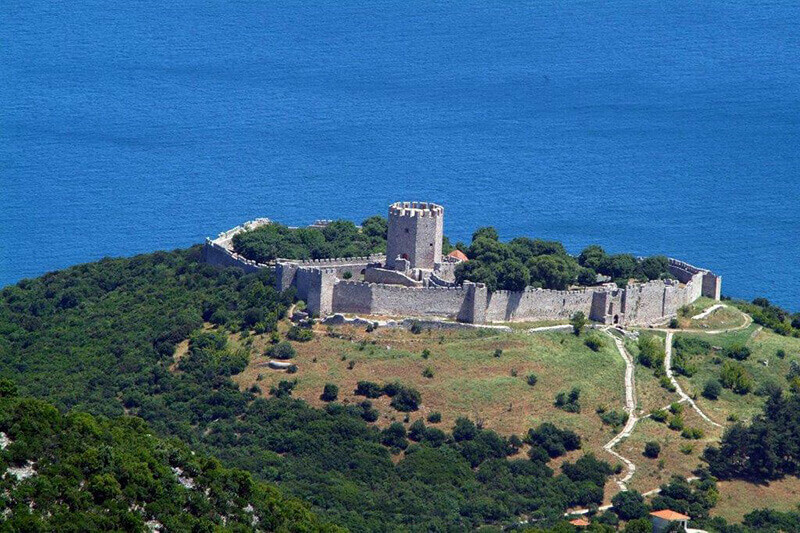 The place where Alexander the Great launched his world-changing campaign to Asia. Next stop will be Vergina, founded in the 7th century BC and hometown to Alexander the Great, a matchless UNESCO World Heritage site. Top off the day with Greek delicacies and wine at the cosmopolitan city of Veroia. 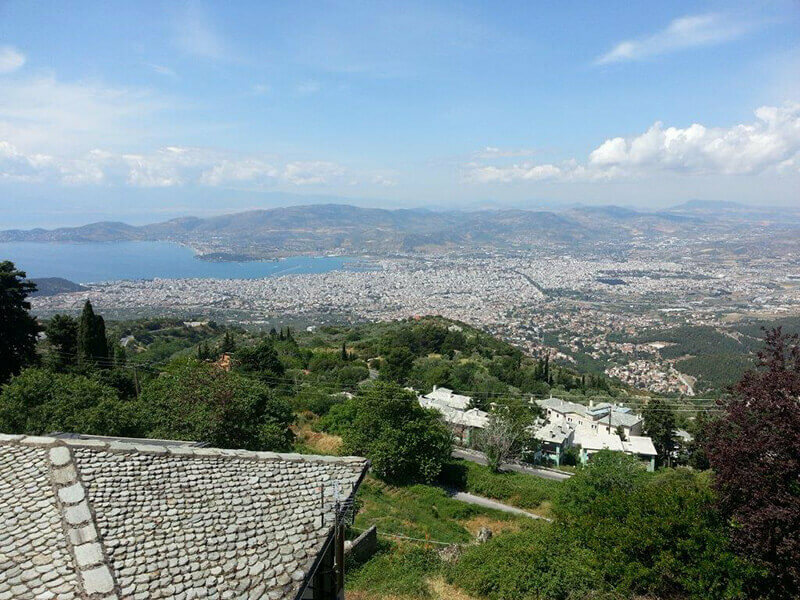 Travel to Pelion; first a stop in Volos to stroll by the attractions of the seafront. 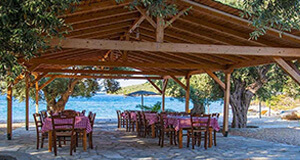 Enjoy a leisurely lunch with fresh seafood “meze” at the traditional tavernas, relaxing in the sun by the sea. 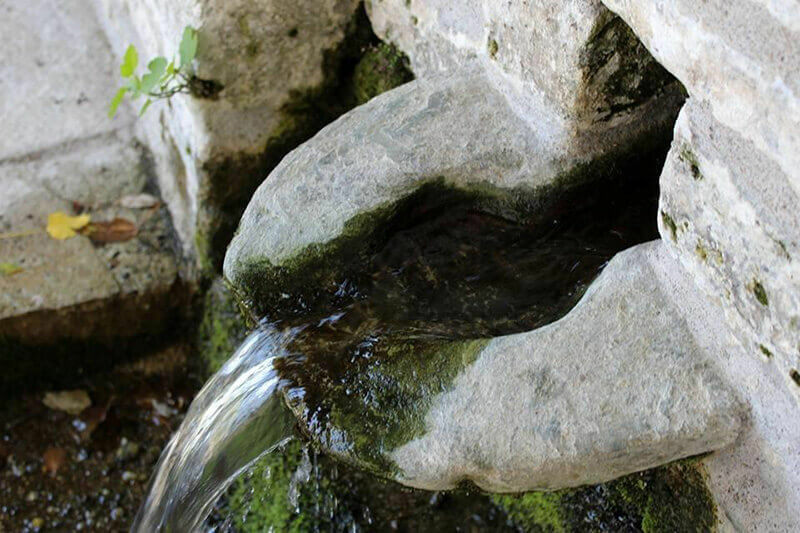 Leave the day’s heat behind as you ascend the mountain towards Portaria, a village of quaint cobbled streets, traditional architecture and springs of cool water. It is also known as the “Door of Pelion” as many trails start here to unwind through the forest with the path of the Centaurs to Spring Mana being one of them. 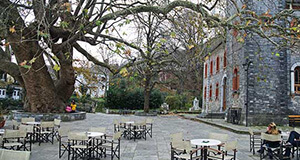 Dine on local flavours and traditional pies on the tree-shaded plaza of Portaria. Short drive to the Chania village. Greet the day with a short drive to this amazing village, meet your guide and hop-on the bikes that will take you through the forest. From here, you will move towards the stunning beach of Chorefto and embark on a boat that will take you to the Caves of Poseidon. The place where the myth has a nymph falling in love with a mortal and giving birth to Achilles. A mythical destination. Perfect for snorkelling in the emerald waters and also favoured by dolphins and the Mediterranean Monk seals, that occasionally use it as shelter. Dine on the beach, on delicious seafood and wine, before returning to Portaria. 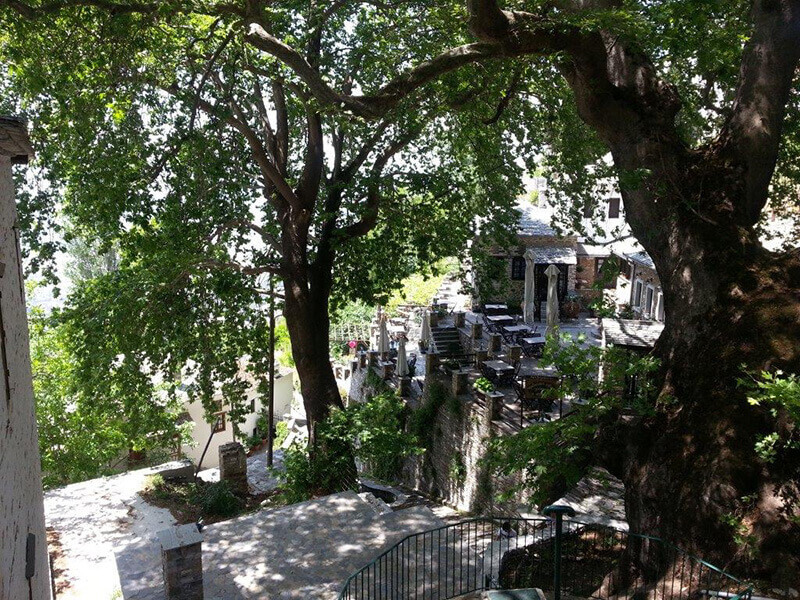 On the East side of Pelion lies Tsagkarada, a picturesque alpine village in the heart of the forest. 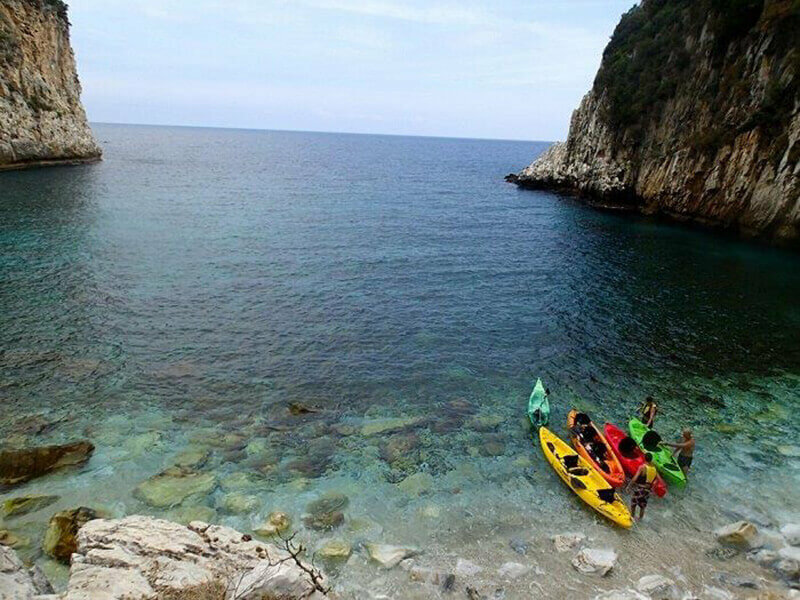 Stroll under the plane trees or head to the famous beach of Milopotamos at the foot of the mountain, with small coves separated by rocks. Have a light lunch on a balcony atop the cliffs overlooking the Aegean Sea. Greece mountains. 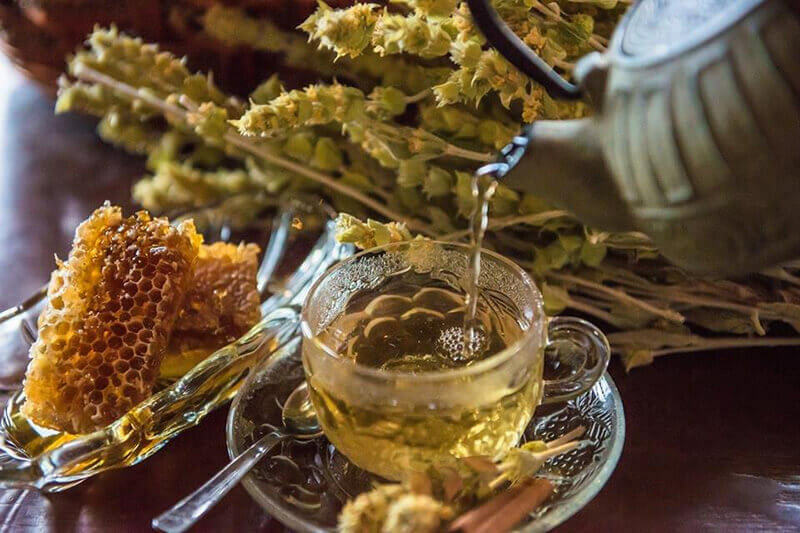 In the afternoon you will cross the Wildlife Reserve of Aghios Dimitrios and visit the historical village of Milies, before heading back to Portaria again. 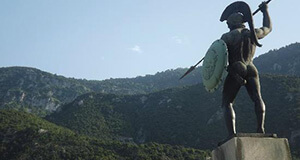 Return to Athens, with a stop at Thermopylae. Where Leonidas and his 300 men from Sparta blocked the advance of the Persian army, in one of the most famous battles in world’s history. The sculpture spa, dedicated to the hero Hercules in antiquity, is still open for a visit and a therapeutic soak in its waters. Popular hashtags: Mount Parnassus, Mytikas peak, the highest peak and the mountain peaks. Mountainous country and rivers in Greece. Greece mountains, Google Map: Mount Olympus and Pelion. News and useful articles: Greece Holiday Packages.